Growing weed indoors is like having your own party: all the basic elements (light, wind, and humidity) are in your hands. The result of starting to grow seeds indoors is amusing, for you and others. Well, that’s if you like to share your indoor weed, of course. The indoor seeds of Amsterdam Marijuana Seeds (AMS) are specifically designed for growing weed indoors in grow rooms. Do you want to be growing cannabis indoors? Our range of indoor plant seeds refers to plants that are particularly recommended for indoor growing. Although all of them do well in a greenhouse and outdoors, these seeds grow to their full potential when growing cannabis indoors. Here at AMS, you will find some of the all-time best, award winning indoor marijuana seeds. These strains were selected because they thrive in indoor conditions, giving you best results. So, what are you waiting for? Start growing cannabis indoors now. The indoor marijuana seeds of the Dutch seed bank Amsterdam Marijuana Seeds are premium quality. If you are a fan of indoor growing, you will see our seeds are bursting with life. We have a wide range of indica, sativa, hybrids and more. After you set up your indoor grow room, the next step is to decide which indoor seeds you would like to grow. How to pick your ultimate favorite indoor weed? To pick your favorite indoor weed, you need to make a selection of the aspects you are looking for. Like the size of the plant, the growing time it needs, the period of flowering and the yield. Of course, the flavor of the plant and the effect your indoor weed has on you, is very important too in making a choice. Growing weed indoors for the first time? It matters if you are an experienced breeder or if you are just starting out. Growing weed indoors can be easy, but with some seeds, indoor growing can be a hell of a job so you need all the experience you can get. Use our marijuana seeds table to make your choice, so you can reach a full harvest of the indoor weed of your desires. We ship our products internationally and we use stealth delivery. So, no matter where your home is, ordering indoor plant seeds with us is safe. Even the mailman will not have a clue that you ordered indoor weed to grow. Our envelopes are anonymous and do not have any marijuana-related content on it. Make sure your transaction description doesn’t have that too, than our little secret stays a secret. AMS is the best seed bank world wide. Situated in Amsterdam the weed capital of the world, we have the privilege to work with the best growers. They select and improve our range of indoor marijuana seeds, as well as the regular, feminized, and outdoor seeds. We have an impressive assortment of more than 100 sorts of weed seeds, and useful and fun products. At Amsterdam Marijuana Seeds, you can get high-quality indoor marijuana seeds at affordable prices. As you could read above, we have a wide range of product for growing weed indoors. You can make a selection between indoor weed that is easy, moderate or difficult to grow. All our indoor seeds are selected by the best Dutch breeders we have worked with for years. With indoor growing, you don’t always have a lot of space. But hey, that’s why indoor plant seeds grow into strains that stay short. Make sure all the elements in your space are stable: the amount of light, the temperature, proper ventilation, a humid atmosphere, water of good quality and be aware of bugs and pests. So take precautions before starting growing your seeds indoors. Tip: Check out our Grow Guide to find out what your plants favor while growing marijuana indoors. Over the years, we’ve gained lots of experience. Ever since AMS started, 15 years ago, we have had only one priority: share our passion for marijuana, acquaintance in growing and our enthusiasm with you. Therefore, we are always happy to help you out. All you have to do is ask: mail or fill out the contact form and we will get back to you within 24 hours. We can answer all your questions about growing cannabis indoors or the best starting seeds indoors. AMS guarantees that their collection weed seeds is of an excellent quality. It isn’t any different in our range of indoor marijuana seeds. Service, expertise, and discreteness are all synonyms for Amsterdam Marijuana Seeds. What is your experience with the Dutch seed bank AMS? Please share it with us too on Kiyoh. 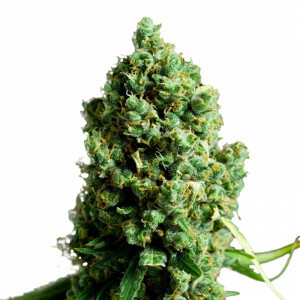 Order your high-quality indoor marijuana seeds now online at Amsterdam Marijuana Seeds. We offer the best supplies you need for starting to grow seeds indoors, and at affordable prices. Buy a package of ten indoor seeds and get extra seeds for free. Stay up to date about discounts and other actions, sign up for our newsletter. Make sure you have proper supplies when you’re growing weed indoors. Think about the nutrients, kits, soil, and lighting such as fluorescent or LED lights. Besides that, fertilizer is a fundamental part of a good harvest. It is necessary for growing weed indoors, like for the root formation and the development of a strong plant. Our marijuana fertilizer is a product of excellent quality. Try the organic Flower Power Fertilizer. Harvesting indoor marijuana is exciting. Period! So start growing marijuana indoors now with the best indoor seeds available. You’ll find them at Amsterdam Marijuana Seeds.